Ford Motor Company has confirmed a second death related to a defective Takata airbag inflator in one of its older Ranger pickup trucks, subsequently urging some 2,902 Ford Ranger owners in North America to stop driving the vehicle until they’ve had a replacement inflator fitted by a dealer at no charge. The death, which involved a 2006 Ford Ranger, occurred during a traffic accident in July, 2017 in West Virginia. A similar death involving a defective Takata inflator in a Ford Ranger occurred more than a year prior in December, 2015, in South Carolina. Both trucks were from the 2006 model year, and both were equipped with Takata airbag inflators built on the same day. 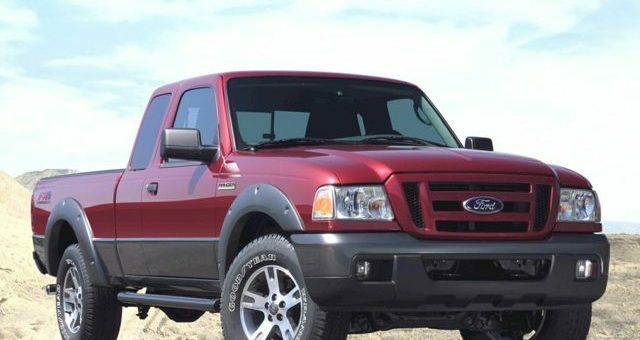 After confirming that the more recent fatality was related to a faulty airbag inflator, Ford issued a new recall on 2,902 Ford Ranger pickups in North America that had already been included as part of a 2016 recall. Of those trucks, 2,712 reside in the United States, with another 190 in Canada, and all were built between August 10th and December 15th, 2005 at Ford’s Twin Cities Assembly Plant. These trucks are now considered to be higher-risk than the other 2004-’06 Ford Ranger pickups included in the original recall. “It is extremely important that all high-risk air bags are tracked down and replaced immediately,” said US National Highway Traffic Safety Administration spokesperson Karen Aldana in a statement.